Home What's New! Mid Size Eye Shadow – Matte – What’s New! Mid Size Eye Shadow – Matte – What’s New! These velvety textured, high-pigment shades will keep you on the cutting edge of fashion. Colors glide on for a smooth matte finish. Talc, Polyethylene, Bismuth Oxychloride, Triethylhexanoin, Zinc Stearate, Phenoxyethanol, Sodium Dehydroacetate, Ethylhexylglycerin, Disodium EDTA, Tetrasodium EDTA, Tocopheryl Acetate, Chlorite, Dolomite, Magnesite, [+/- (May Contain): Barium Sulfate, Silica, Mica (CI 77019), Titanium Dioxide (CI 77891), Iron Oxides (CI 77491, CI 77492, CI 77499), Carmine (CI 75470), Ultramarines (CI 77007), Aluminum Powder (CI 77000), Bronze Powder (CI 77400), Copper Powder (CI 77400), Chromium Oxide Greens (CI 77288), Chromium Hydroxide Green (CI 77289), Manganese Violet (CI 77742), Ferric Ferrocyanide (CI 77510), Yellow 5 Lake (CI 19140), Blue 1 Lake (CI 42090), Red 40 Lake (CI 16035)]. 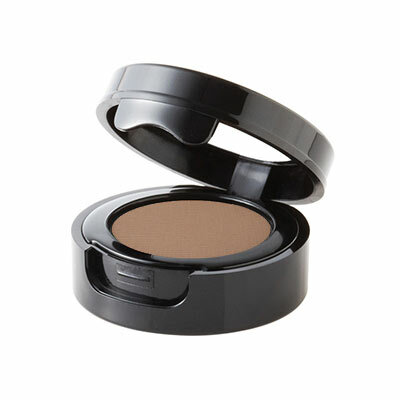 Note: Ash, Covert, and Heiress are Super Silky Shadow Formula. Refer to that section for ingredient listing.